I know a few people with very dry hair who struggle to find a happy way to straighten their hair. They’ve tried wetting it first (that wasn’t a good idea). They’ve tried using an actual iron and placing a wet cloth over their hair before ironing (not a great idea either). They’ve tried leave-in conditioners and a handful of other products. Many of them just gave up altogether and accepted that they would just have to quit straightening their hair, since it was so damaging to their already brittle locks. Steam in actionSteam in actionBut now, with this Steam Hair Straightener all that potentially damaging heat is offset with moisture infusion. See, the steam won’t just help straighten the hair quicker, it will also infuse itself deep into the shaft of each strand of hair. This will plump up your hair, making dry, flat hair suddenly have a little bit more volume. It will bring back the shine that dry, dull hair had been missing for so long. 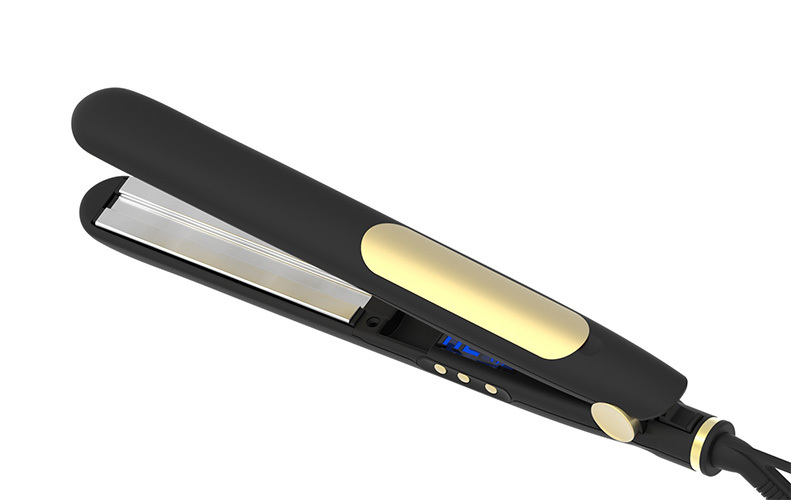 And it will help to heal dry, brittle hair while simultaneously protecting it from the heat of the straightener.